“Pesaleidja” was created in spring 2009 as a non-profit organization in Estonia with the aim of helping homeless and mistreated animals. It is the biggest animal shelter run by volunteers fostering over 300 cats and dogs in the shelter and foster homes. “Pesaleidja’s” goal is to help homeless and mistreated animals, offering them a temporary home with support and care. 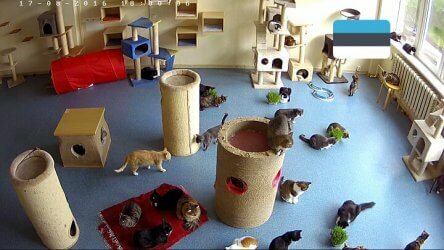 The amazing cat room, seen in the live stream, was opened in Tallinn’s Mustamäe district in 2012. 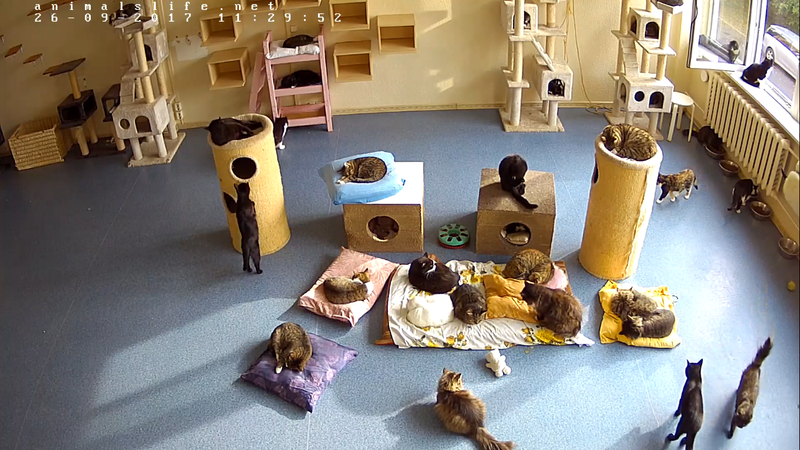 On a daily basis, the sanctuary shelters over 300 cats who are taken care of by volunteers. All of the cats in the foster homes, as well as in the shelter, receive medication from intestinal worms and get additional treatment if needed. The pet adoption from the shelter is not so easy too – the new owner has to fill in a form, which will be evaluated and only then can he or she get a new friend. The process is a bit complicated, but it is necessary to eliminate the situations, where the pets are taken from the shelters and then get abandoned. Though the “Pesaleidja” organization works all over Estonia, it is still fully run by volunteers. That’s why it is so crucial to help them. Such organizations that move forward only thanks to the devotion, passion and love for animals of the pet rescue enthusiasts are always in need of support, as you can be sure that you your help will be used for good cause. Buy the products needed for the shelter in the shop below.